The all-new Suzuki Jimny was launched last year in the international markets and it has gained massive popularity in Europe and Japan. Suzuki has even stopped taking the new orders of the small off-roading SUV in the European market as demands were so high than ever before. While the enthusiasts are going all gaga over the all-new Jimny, there are many artistic renderings of the Jimny online. But out of all of them, this one looks the most brute and mouth-watering. 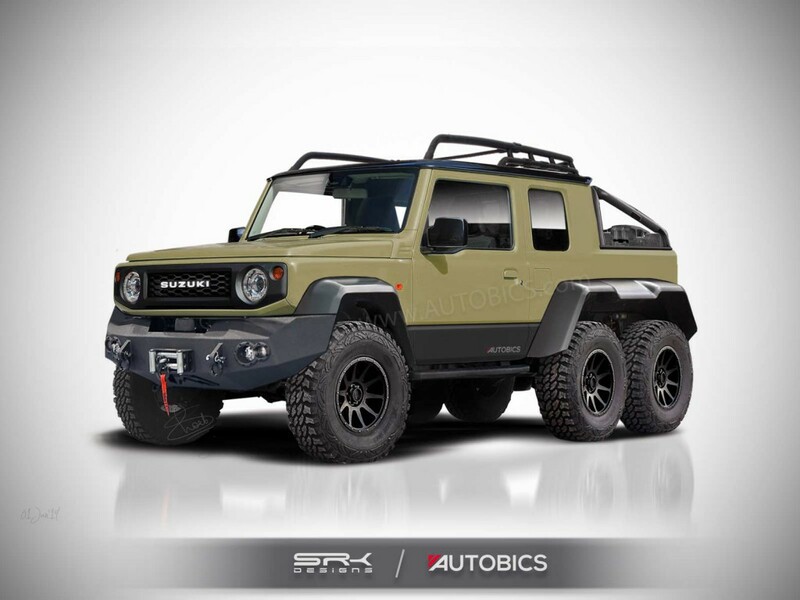 Rendered by SRK Designs, this is the 6X6 version of the Suzuki Jimny and it can turn a hundred heads on the road without even trying. This is based on the Suzuki Jimny’s base version. The all-new Jimny is only available in a hard-top version. The render artist increased the total length of the body by adding a small flat-bed space in the rear. It has also transformed the Jimny into a pick-up truck. Other changes include flared wheel arches, tweaked front bumper to make it look more masculine and a few other things like side steps. There is also a winch embedded in the front bumper, which makes it looks like an extreme off-roader. There are also roof rails added to the Jimny which look very sturdy and capable of loading a good amount of weight. The Jimny’s has been compared with the design of the Mercedes-AMG G63 AMG 6X6. It is the only production SUV in the world to get the 6X6 set-up and it looks monster on the road. However, the Jimny’s smaller dimensions make it look much more friendly. The all-new Jimny is powered by a 660cc, petrol engine and the Jimny Sierra gets the bigger 1.5-litre petrol engine. 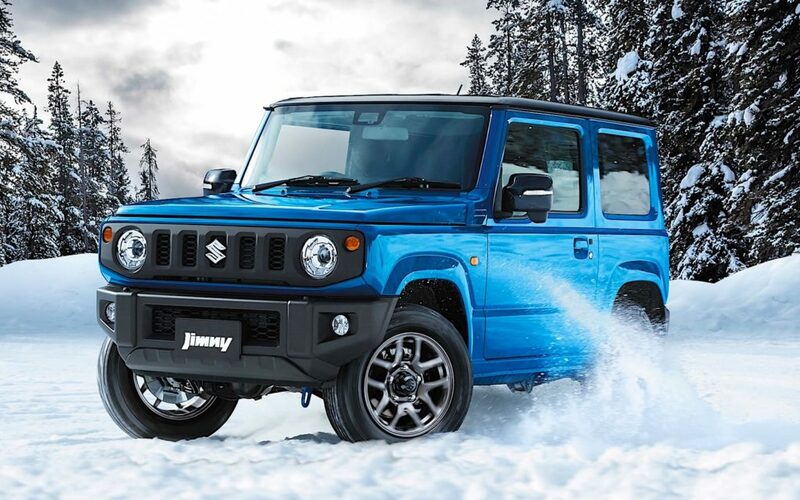 There were a few rumours suggesting that the all-new Jimny will replace the Maruti Suzuki Gypsy in the Indian market but Maruti Suzuki India denied any such news. However, with the increasing demand of the compact SUV around the world, Suzuki may shift a part of the production of the Jimny to India, which can translate into a much-awaited launch.